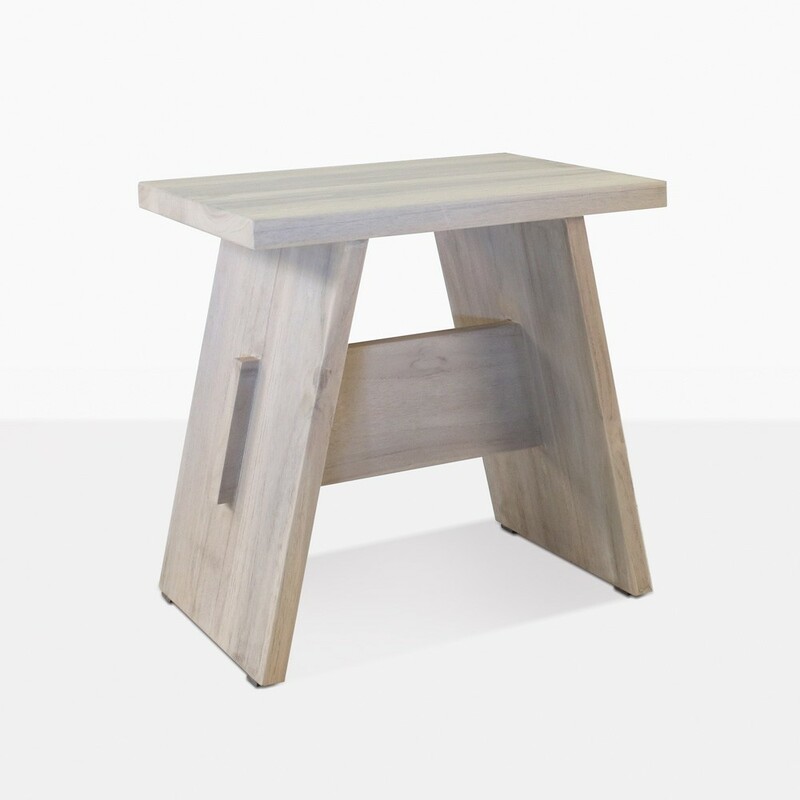 The amazing Bradford Stool has a unique mini trestle design, mirroring the look of the barn-style dining table, but with sleek panelling to create a look that is modern, fresh and inviting. 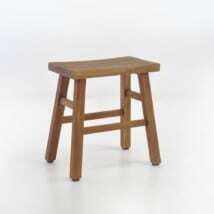 It is a beautiful seat as an individual piece, or even as a side table. Elegant and versatile, the Bradford Reclaimed Teak Stool is a stunning new piece from a chic collection. The Bradford range favours simplicity, strength and sophistication above all else. 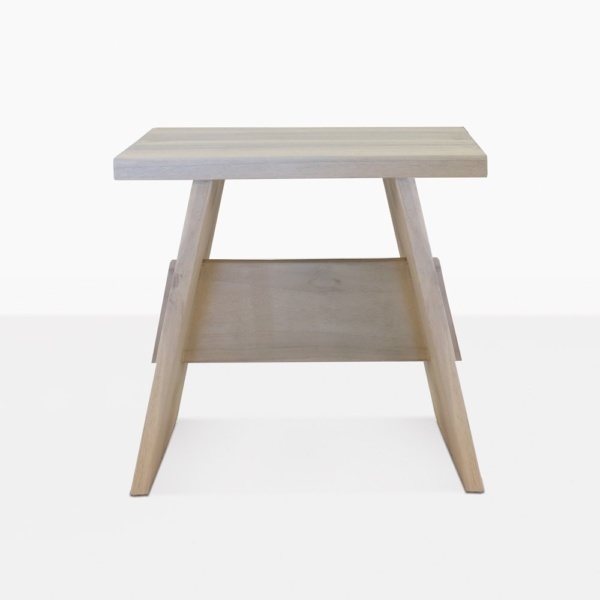 A simple two piece collection, Bradford includes this stunning Stool and the Bradford Rectangular Outdoor Dining Table. 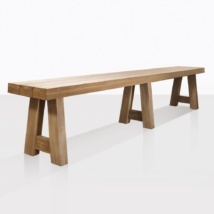 Try 8 of the Bradford Reclaimed Teak Stool situated around one of teak outdoor dining tables. Place a shade overhead such as the Sunbrella(R) umbrella with wooden pole to tie the look together. Perhaps your sun room is the perfect area for a desk and chair, set up a Teak Table with two Bradford Stools and enjoy a functional workspace that is stylish, sturdy and sophisticated! 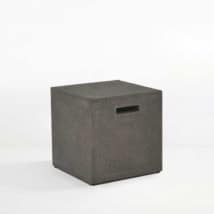 The Bradford stool looks fantastic on its own, place it in several space around your home including the bathroom or guest room. 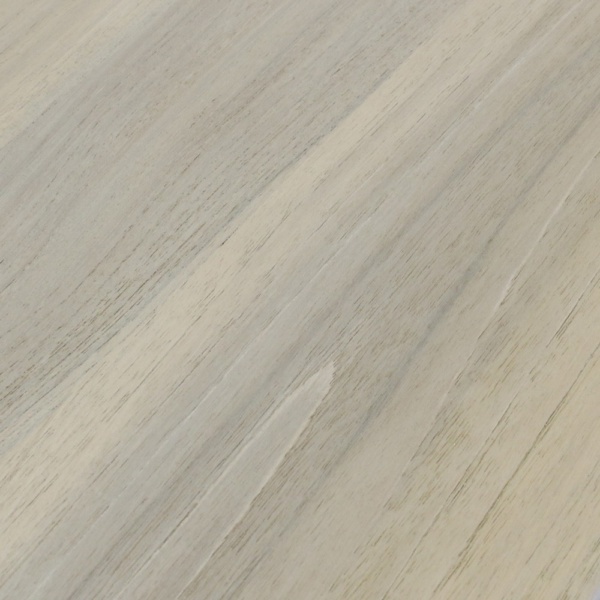 Reclaimed Teak is beautiful, hardwearing and full of character. 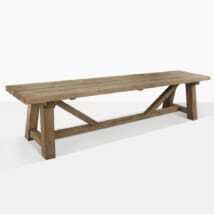 Our customers are delighted with our range of reclaimed recycled teak which spans the dining, deep seating and accessories range.